Near the centre of Whispering Turtles Lake are a number of small rocky islands capped with trees. The second largest of these has been home to the small settlement of Clover since the lakeside community of Burhuie was sacked during the great war and most of the survivors escaped into the lake in a mix of rowboats and fishing craft. Until then, the fisher folk of Burhuie avoided the Isle of Clover because of the accursed elven ruins there. 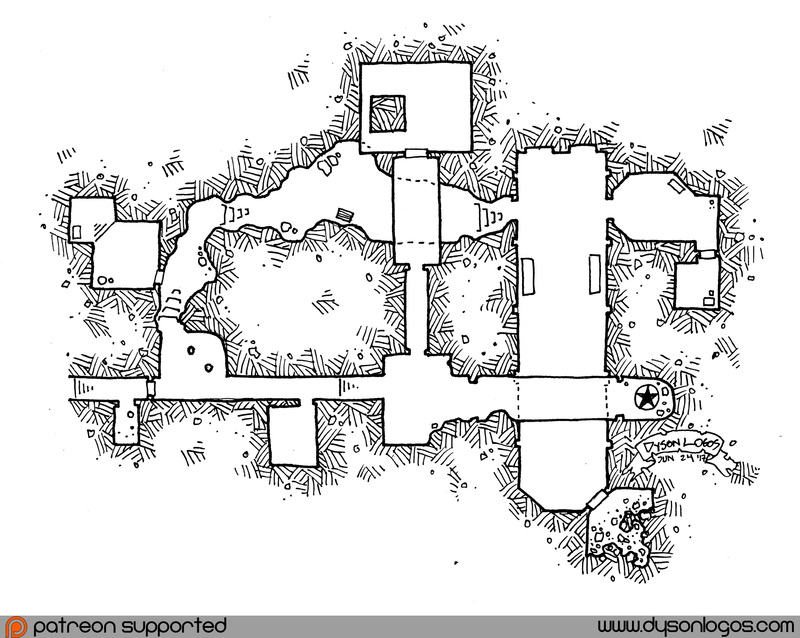 Today those ruins have been repaired and massive runes of defense and strength carved into the fortifications by the dwarves who helped settle here (although there are no longer any dwarves on the island, as they were just a single family at the time). No one lives within the fortifications proper, but they are maintained for emergencies and used for storage. The people of Clover are fishers and farmers, mostly human with a bit of elven blood in the mix. 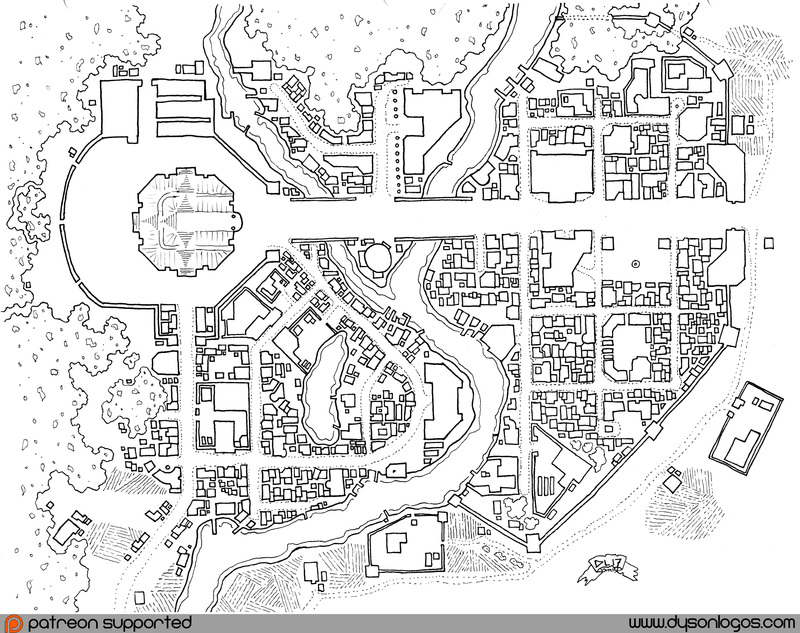 The town has no actual “government”, but a significant voice is given to Acdad Yim, a resident who left the island in his youth and returned with a not insignificant sum of gold, some interesting treasures, and a potent grasp of sorcery. 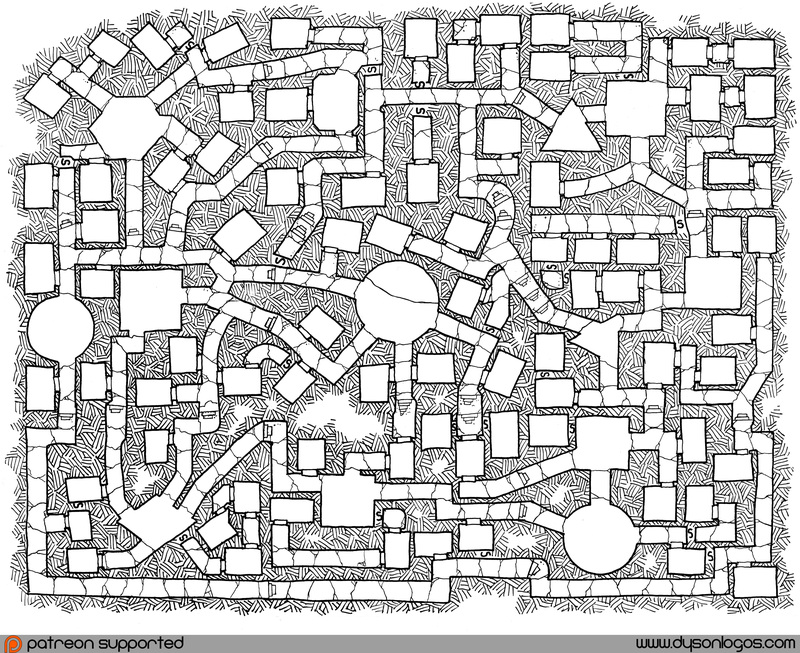 Goodman Games – Dungeon Crawl Classics. Blood Smoke Island. Avec un nom pareil, vous comptiez vraiment qu’une escale y soit de tout repos ? This is the setting for the Sugar Shack Slaughter, one of the two adventures in “The Scenario from Ontario“. Written by the remarkably Kiel Chenier, the “dungeon” of the adventure is a massive hollow maple tree and tunnels among its roots. These maps of the Blood Maple Hollow are redraws based on Kiel’s original maps. I made an effort to make it look as “tree-like” as I could manage for the level on the left, with the lower level on the right still having roots and tendrils to define the grid but being a bit more traditionally cave-like in textures as is my style. It’s been a while in the making – I’ll be releasing the first two commercial adventure releases based on maps from the Dodecahedron in the coming weeks. I’m very excited to have in hand adventures written by Zzarchov Kowolski (creator of Scenic Dunnsmouth, Lamentations of the Gingerbread Princess, and my favourite level one adventure of all time, A Thousand Dead Babies) and Kiel Chenier (creator of Blood in the Chocolate). Shadows of Forgotten Kings is laid out and ready to publish, and Orcs in Tarodun’s Tomb is heading into layout for release soon after. In the D&D5e rules it indicates that ritually bathing in the blood of dragons can transform someone into a half-dragon. While very few people know the ritual required, many have heard of this process and there are those that seek it out without the full knowledge. And dragon blood is indeed a potent fluid that brings about great changes. Those who don’t use the proper ritual still emerge transformed by the experience. This two-page table can be rolled on whenever someone is covered in dragon blood, drinks it, or attempts the ritual incorrectly. I would restrict it to dragon blood coming from dragons of adult age or older, and probably only if the dragon was slain in the process. Somewhere beneath the old ruins is the space where the angel Araqiel fell in combat with the feathered serpent demon Quxaccoaw. 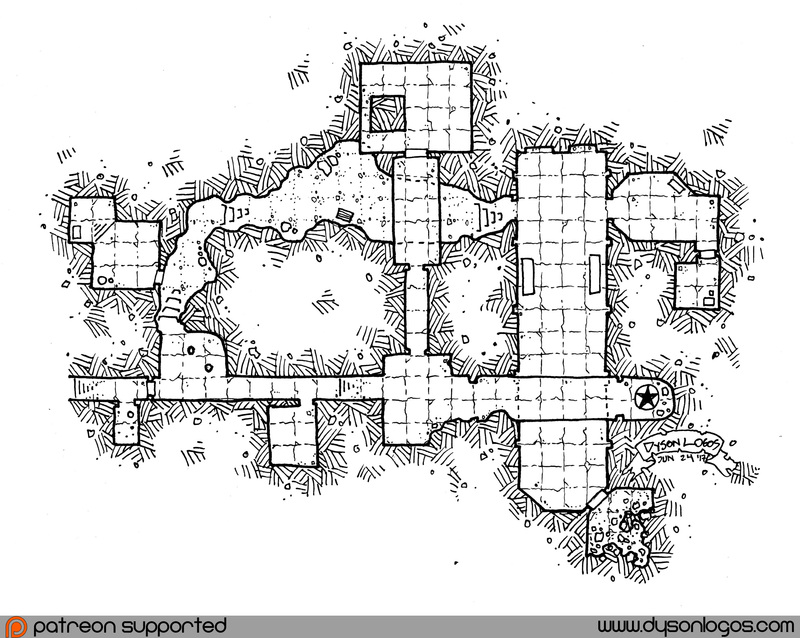 The dungeons here are scattered with the deadly toxic feathers of the demon and the mixed blood of the two combatants, making the very environment hostile to explorers. Even with only a half-dozen chambers in the dungeons, only one expedition to find the remnants of either of the combatants has returned. 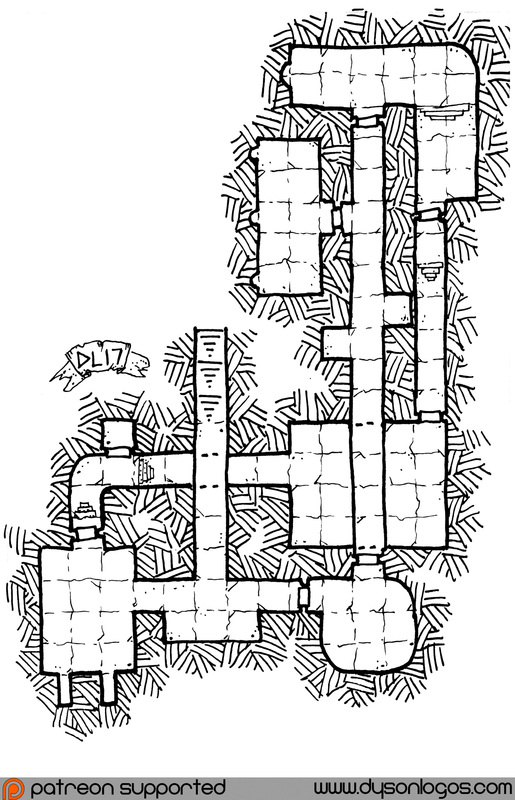 The dungeon walls and floor seem malevolent now with the ichor of the two foes upon them, and even brushing against one of Quxaccoaw’s feathers generally spells inevitable demise from one virulent toxin or another. But of course, that is like candy to a master assassin and poisoner like Bourvek of Three Hills… and the added bonus of hopefully finding the actual body (or bodies) of the angel or demon with the artifacts that would entail? So pack lots of antitoxins, resistance spells and restorations, for the MacGuffin requires us to travel to these Poisoned Chambers. This is one of two smaller maps I drew last month while waiting with my girlfriend for her mother in various waiting rooms. Thankfully I have these lovely A6 booklets from Squarehex that are easy to carry around just about anywhere and that have a nice hard cover making them easy to draw on even in cramped waiting room chairs. Guerras-El-Essat is built up around a massive temple dedicated to the living (or unliving?) eight-armed vampiric deity-demon El-Essat who stalked the peoples living along the verge of the Blue Jungles since times beyond recorded history. In what was either a brilliant coup by the demon or by the priesthood (depending who’s stories you hear), she now lives within the jungle temple and is served blood sacrifices to keep her happy and in turn to keep the holy city and the lands along the blue jungles safe from her hunger. Multiple religious compounds have cropped up within the city since the “capture” of the demon – mostly dedicated to other traditional faiths of the Blue Jungle peoples, and a few subcults of El-Estat herself. The holy city also has just about everything you would expect of a major city of the jungle peoples – trading markets, outfitting stores, and many places to draw coin and trade goods from visiting tribesfolk while offering them relaxations and pleasures unavailable in their small towns and nomadic tribes. It is also a strong trading hub in thellas bark, a bark similar to cinnamon in flavour and harvest, but that imparts mild euphoric and analgesic effects, and of emeralds mined deep within the blue jungles themselves. Un scénario qui se déroule en Purgare, près des Hellvetics. Avec moult embrouilles entre les Cultes et les personnages qui doivent… débrouiller et démêler cette pelote !